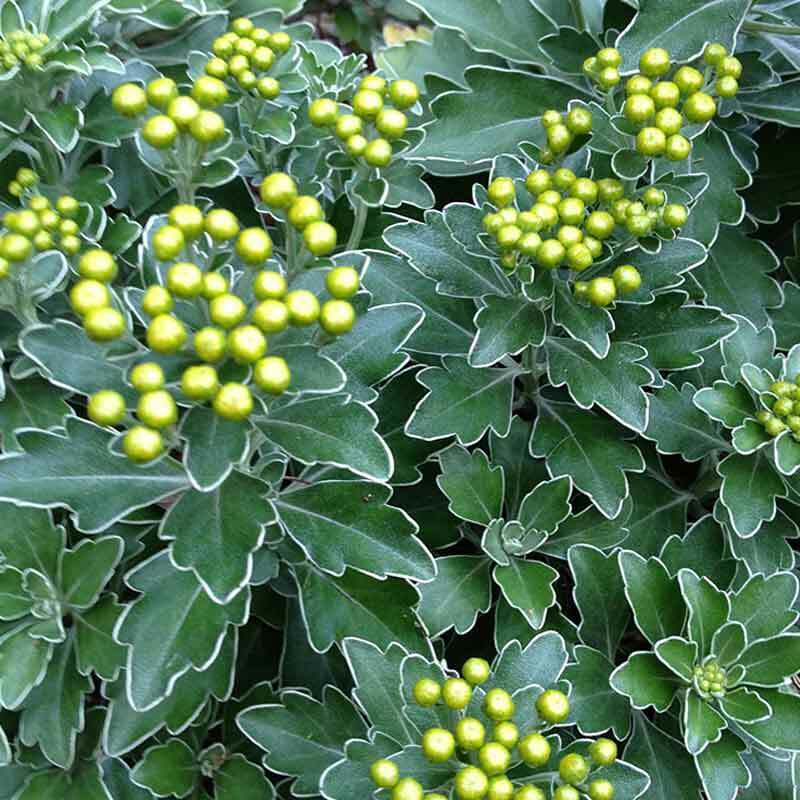 Knockout silver-edged foliage forms tidy but not overly stiff mounds. Excellent texture in the garden, mixing well with grasses, succulents, evergreens–you name it. 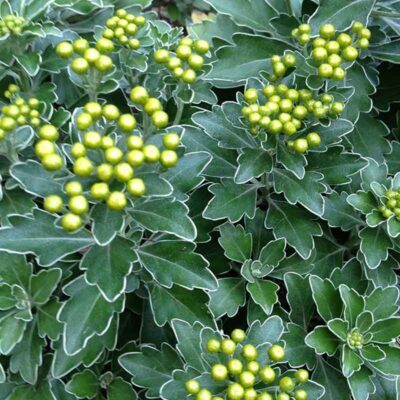 Gold, button-like flowers bloom late October and into November, a real treat at the end of the season. Full sun. Good drainage. Height 1-2′. Spread 2-3′. Deer resistant. Zones 6-9.